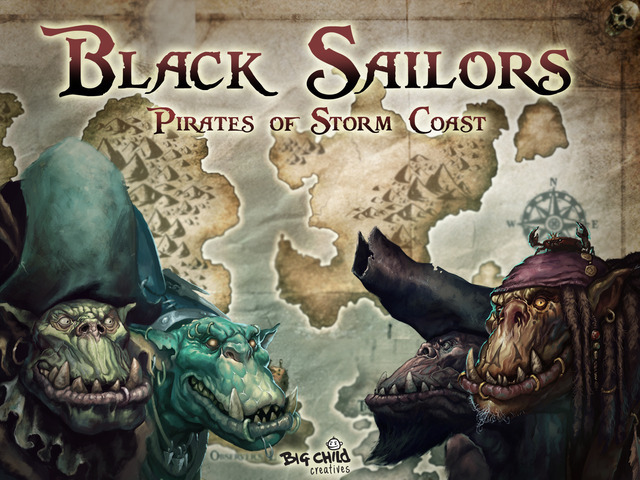 Legion of the Cow Ltd set sail for their Black Sailors Kickstarter campaign. They've already busted through several stretch goals. 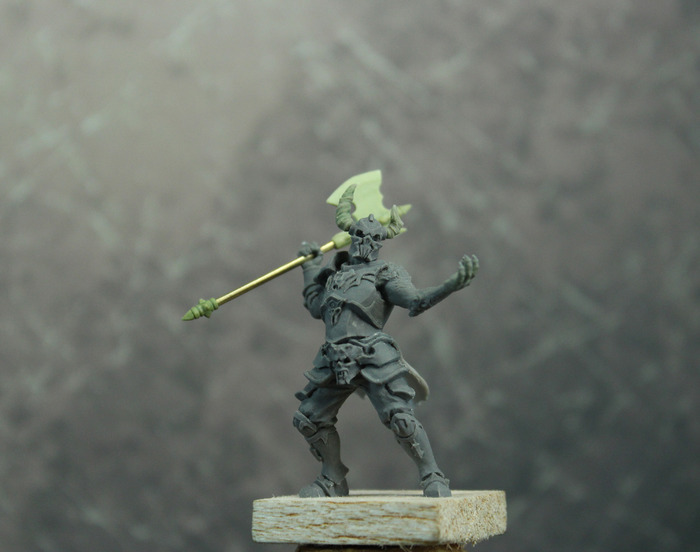 Legion of the Cow ltd is showing off a preview of their upcoming Kickstarter campaign for a line of Orc Pirate miniatures. Build your own Pirate crew! Incredible sculptures with tremendous personality and detail for hobbyists, painters and collectors alike!! 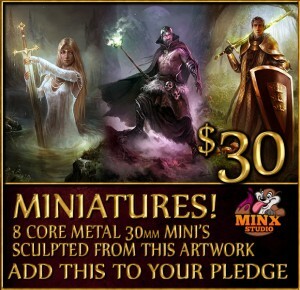 Minx Studio is in their final hours over on Kickstarter for their Fantasy Miniatures campaign. They're over their goal, so it's looking to get some stretch goals broken before the clock runs out. To Start it off, we have the Completed Dark Knight! Lynnvander and Minx Studios have teamed up as part of the Albion's Legacy Kickstarter campaign. There's a little under a week left to get to the minis stretch goal. Will they make it? Arthurian legend kept true to spirit combined with a challenging board game play style. 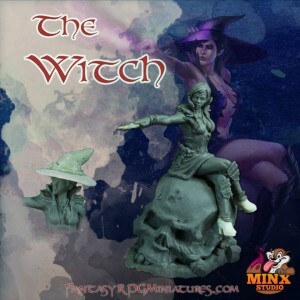 A new partnership agreement will have Minx Studios sculpting the miniatures for the game in standard 30-32mm gaming scale. 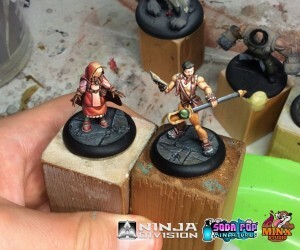 Ninja Division has posted up some progress shots some some painted-up Relic Knights minis. Our friends at Minx Studios have been hard at work on some of the new plastics from the upcoming release of Relic Knights; Darkspace Calamity. These are some “in – progress” shots of the progression from basic prepared plastic miniatures through the painting process. We are looking forward to showing more as we get them. Check out the photos of the Doctrine Battle Box. 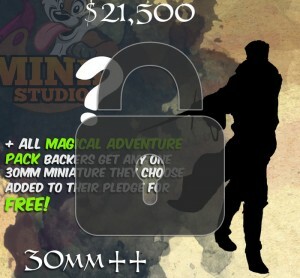 Minx Studio adjusted their stretch goals in their Fantasy Miniatures Kickstarter campaign to bring you more. 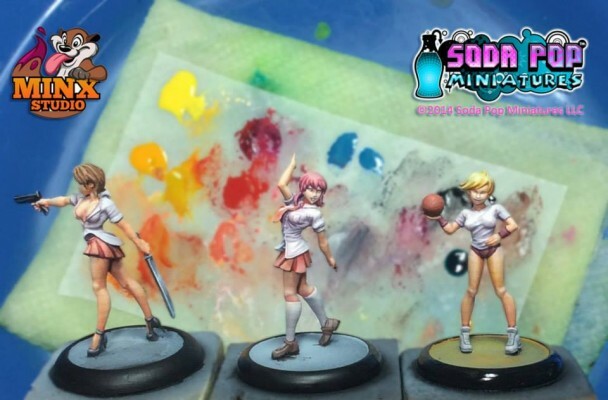 More free minis, added value, decreased stretch goals distance, added new characters!! At $27,500 Magical Adventure Pack backers have the opportunity to pick up high quality resin minis for less than $10/each with all the freebies!